This strategy may seem pretty basic, but you would be surprised how many people are simply unwilling to have a difficult conversation. While asking your neighbor to clean up their mess may be challenging, there are strategic ways to soften the blow. Try saying, “You know, the more my house sells for, the more your house will sell for if you ever decide to move.” Add another nice touch like a bottle of wine to show your neighborly spirit. If direct conversation is hard, send over a very polite note and a gift. In many cases, the neighborhood eyesore is home to elderly individuals or those unable to properly clean. If your neighbor is unable to properly maintain their property, it may be time for you to step in and do it yourself. If your neighborhood has a homeowners’ association (HOA), take advantage of it. One of the reasons HOAs exist is to help keep property values within the neighborhood from declining. You can always try more diplomatic methods first, but if it comes down to it, your HOA can help pressure your neighbor into maintaining their property. They may issue fines to any neighbor not in compliance, or in other cases, they may simply fix the issues and then bill the neighbor. If you have been in a long going battle with your neighbor, and all else has failed, it may be time to reach out to your local government. It may be a situation where your neighbor is actually in violation of local codes and can be forced to clean up. Your best bet is to do this well before putting your home on the market, as in many cases the city may give your neighbor 90 days to comply. 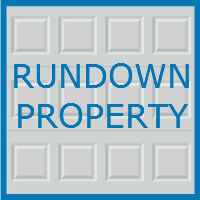 You may also discover that the rundown home is a bank-owned foreclosure. In this case, you can likely get in touch with the bank that owns the property and insist that they maintain it. Modern home buyers expect a lot when searching for a home, and one area in particular that they focus on is the garage. 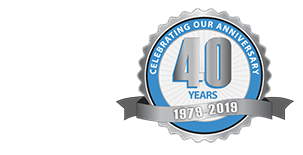 At Blue Sky Builders, our team of garage experts can help you ensure your garage is in tip-top shape and ready to sell. We offer creative garage design and remodeling that can boost your property value and provide interior touches like smart garage storage and lighting that will make potential buyers do a double take.Visit Blue Sky Builders online or call 630-852-8485 to learn more about the services we provide today.